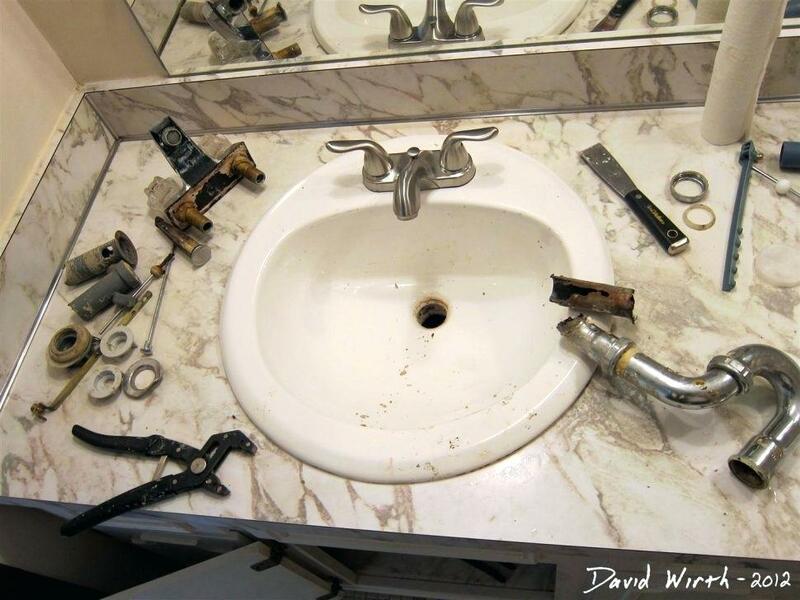 Many common plumbing problems in the home can be fixed with a little DIY know-how. DIY plumbing skills can be very helpful in the bathroom especially, and if undertaken properly can save you money and lots of hassle. However, there are some plumbing problems in the bathroom that you might face that are usually best left to the help of a professional. Many homeowners have ended up with more harm than good by trying to handle certain plumbing problem in their home, particularly the bathroom. Sometimes it’s best left to professional if you’re not 100 per cent sure. Especially when facing a bathroom plumbing issue. Not only could it take more time, it could lead to further damage or a reoccurrence of the issue. In severe cases, the outcome of some DIY efforts could leave you facing a serious plumbing disaster – one that will require the help of an emergency plumber. Replacing a leaky pipe may seem like a very easy task. But it can turn out to be very messy if not properly handled. So you should consider letting a professional do the job rather than trying to handle it all by yourself. Once you find out you have a leaky pipe, you can use a leaked tape and a compression clamp to temporarily keep the leaky pipe in place until a professional plumber arrives. If you decide to go DIY with a leaky pipe, you may end up with a broken pipe and then a flood all over your bathroom and the water can easily spread to other areas of your home. When such an incident occurs, don’t hesitate to call Plumbing Bristol on 07733192400. Plumbing Bristol’s 24/7 emergency plumbing service has a helpful technician waiting to assist you 365 days of the year. If the water going into your sink or toilet is not going out, it could be a complete or a partial clog. If the clog isn’t a severe problem, you can fix it with a plunger. Although a plunger cannot unclog the sink or toilet completely. Once you observe that you’re dealing with a clog over and over again, then it’s time to invite a professional. If you keep trying to force things down the sink or toilet, you could end up with a plumbing disaster. Rather than wait for such a dramatic disaster, you can reach out to us. Plumbing Bristol’s 24/7 emergency plumbing service has a helpful technician waiting to assist you 365 days of the year. So call us right away on 07733192400. If you can perceive sewer gas in your bathroom, the smell could be the outcome of a dry shower trap, an old toilet ring, damaged drain pipes, or even a clogged drain. While there are some DIY solutions to get rid of the smell, your best is to seek the help of a professional plumber to figure out the precise cause of the smell and eradicate it completely. Trying several DIY approaches without being able to identify the precise cause of the smell may cause a disaster that would require more time and effort to repair. Just one running toilet can waste gallons of water within several hours. In many cases, running toilet is caused by a flapper valve that allows water to pass from the tank to the bowl. Running toilet always seems like an easy problem that almost anyone can handle with a DIY toilet kit. While such DIY efforts work well for some people, for others, the situation can escalate into a disaster. When such an incident occurs, don’t hesitate to call Plumbing Bristol on 07733192400. Plumbing Bristol’s 24/7 emergency plumbing service has a helpful technician waiting to assist you 365 days of the year. Plumbing Bristol services these areas Bristol, Bath, Emersons Green, Keynsham, Long Ashton, Longwell Green, Patchway, Pill, Portbury, Pucklechurch, Stoke Gifford, Warmley, Wick, Winford, and Wraxall. >> For a look at what can go wrong in the kitchen, take a look at our DIY plumbing disasters in the kitchen blog.